Due to being a land of diversities and offering unlimited surprises, Turkey appeals the tourists for enjoying different cultural influences. The country is truly unique in every sense and offers its tourists an economical tour for incredible experiences. Enjoy a memorable Turkey tour along with a blend of culture, tradition and modernism. The trip allows you exploring the vivacity of this incredible country that offers so much to its visitors. Be ready to enjoy an assorted mix of geographical conditions that allows the tourists exploring hills, plains, caves, oceans and various natural formations of Turkey. Book this package at reasonable rates. 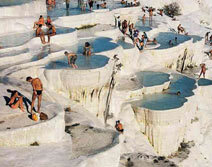 Visit Turkey and explore its several unique features along with different attractions. Comprised of historical sites, serene beaches and coastlines and offering amusing activities, the country makes your trip really memorable. Being on the meeting point of European, Asian and African continent, Turkey is comprised of white-sand beaches and soaring mountains. The geographical richness of the country is meant to give the tourists an amazing experience. 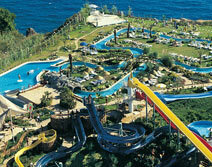 The amazing and varied land of Turkey offers a wide range of activities to its visitors. Visit here relaxing beaches, historic sites along with action-packed activities. With unlimited tourism opportunities, don't lose a chance of having fun. 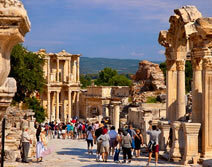 Turkey is a famous tourist destination enjoying appealing sceneries and affluent historic legacy. 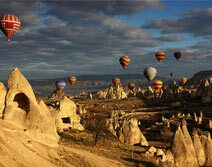 On this holiday, explore some of the most popular tour destinations of Turkey and enjoy.